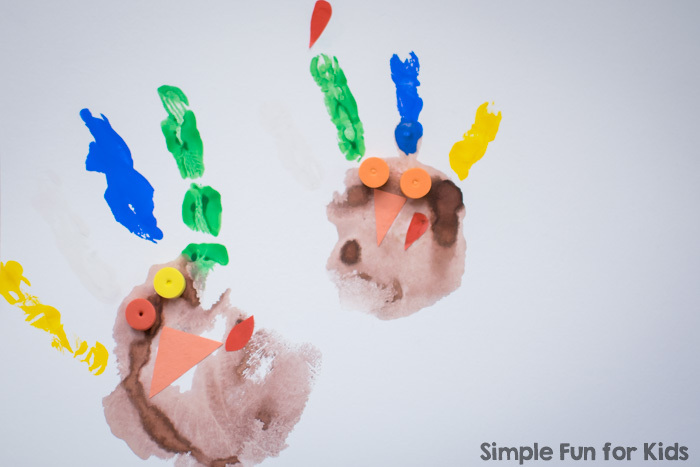 For our first American Thanksgiving, we made these handprint turkeys. E’s love for handprint crafts was still going strong the next year as well, so we changed it up a little and did “portrait” turkey handprints. Googly eyes and/or foam beads. 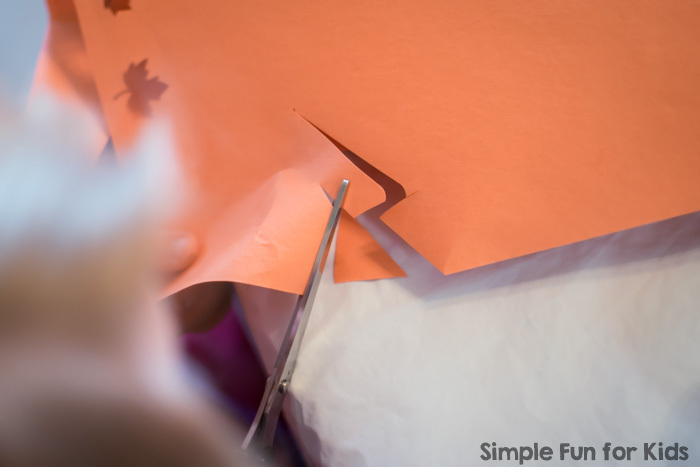 Construction paper or any kind of paper scraps. Bowls for the paint and glue. 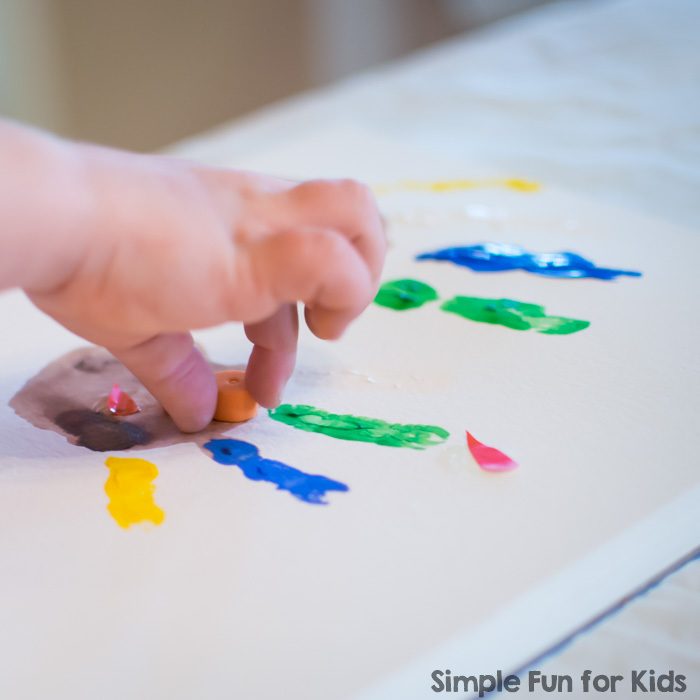 Like last time, we used a mix of tempera paint and liquid watercolors, but you can absolutely use whatever washable paint you have on hand. I cut a few beaks and waddles from construction paper, and E didn’t want to waste time looking for googly eyes, so she decided to use foam beads for eyes. I painted the palm of her hand brown, four fingers in four colors of her choice, and left her thumb unpainted. 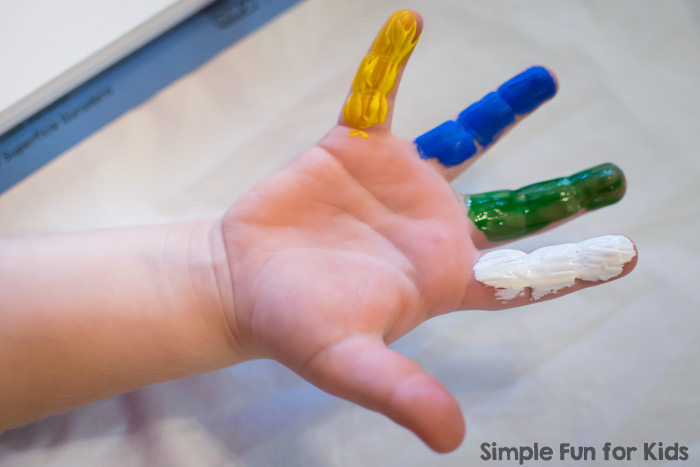 After she’d made her handprint, she washed her hands and insisted that it was now my turn to have my hand painted and make a handprint. For my handprint, she decided she needed a bigger beak, so she had me show her how to cut one out of construction paper, then cut it herself. 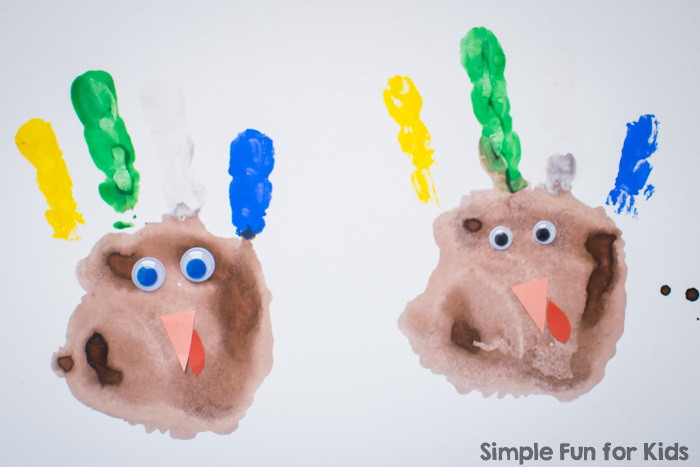 E wanted to make two more handprints of her own and let me decorate them – I preferred using googly eyes. 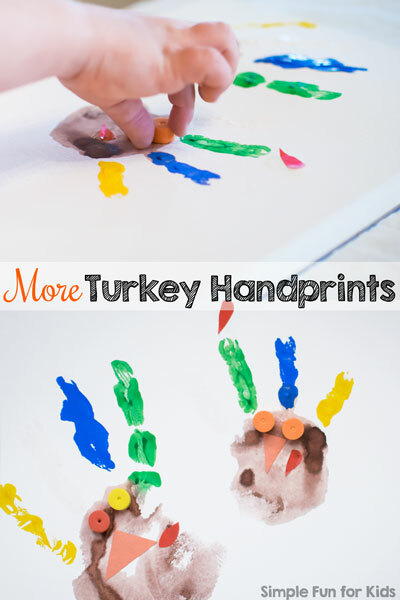 How do you like our turkey handprints variation? Have you done a similar craft? Leave a comment! 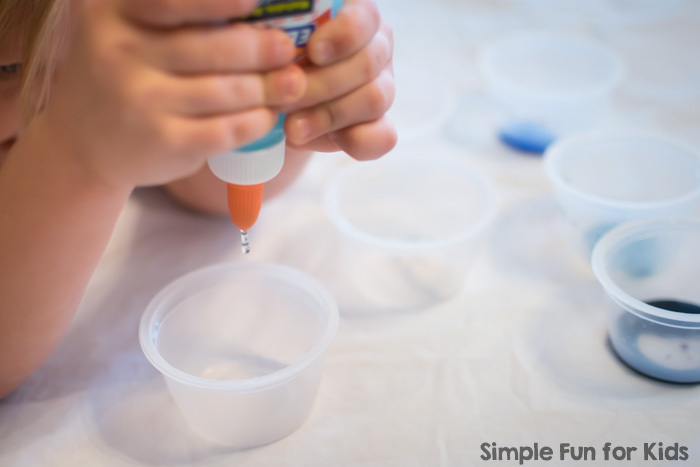 Looking for more simple Thanksgiving activities? Here are a few I’ve picked out for you!